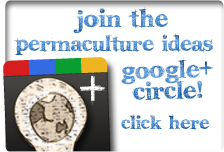 Visit Tim & Maddy Harland, who founded Permaculture Magazine, in their house and garden, meet the family and get an introduction to permaculture. From BBC2's The Edible Garden series with Alys Fowler. Recycled Rake - A Rack! Organic Slug Control with Snakes!